Now this is the sort of car we like to see in a Super Bowl commercial. 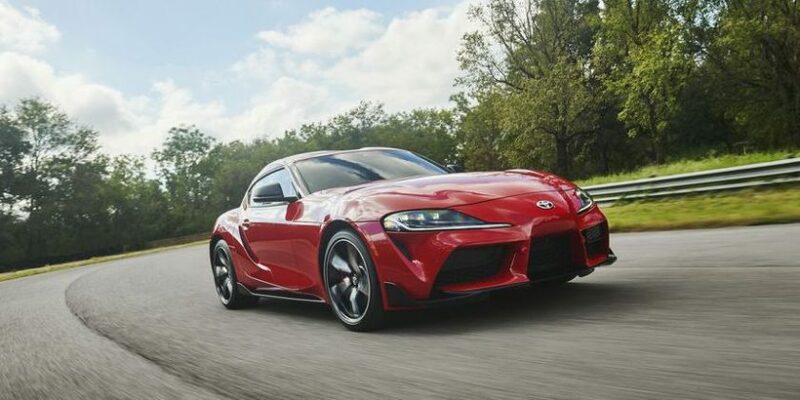 It’s the 2020 Toyota Supra, which debuted last month at the North American International Auto Show in Detroit, and promises to be one of the most exciting cars of 2019. In the commercial, the new Supra slides around inside a giant pinball machine as The Who’s “Pinball Wizard” (naturally) plays in the background. To us, it’s the coolest ad of the big game because, well, we’re not the types to get overly excited about, uh, Skittles. We’ve included the commercial below for your viewing pleasure. After a 17-year hiatus, Toyota brought back the Supra name for a new two-door, two-seat sports car co-developed with BMW. Most of the stuff under the skin is shared with the new 2019 BMW Z4, including a 3.0-liter turbocharged inline-six. That engine makes a little less power in the Supra than in the Z4 thanks to some internal component changes and different programming. Inside, there’s a lot of BMW, too, which will immediately be recognizable to anyone who’s driven one of the Bavarian brand’s more recent cars. It sure doesn’t look like a BMW, though, and that’s a good thing. In person, it’s quite striking. The 2020 Supra will go on sale this year with a base price of $50,000. Next Post:Skoda Kodiaq vRS: PH Trade-Off!